As optimism grows that the United States and China are nearing a trade deal, Japan kicks off its own negotiations with Washington from Monday, hoping to resolve some of the issues “very quickly.” US Trade Representative Robert Lighthiser and Japan’s Economy minister Toshimitsu Motegi are set to embark on two days of talks in Washington. In Tokyo last week, Motegi predicted the crunch talks would be “candid”, with the first round on Monday about “making a decision on which areas we will discuss, chiefly in the field of goods”. “I will do my best to have thorough discussions so as to produce a good result in line with our national interest,” said Motegi. Self-styled dealmaker Donald Trump has been playing hardball with traditional US trading partners, using tariffs and threats in an effort to boost US exports and curb Washington’s longstanding trade deficit. In May, Trump ordered his administration to investigate the possibility of imposing tariffs of up to 25 percent on foreign autos and auto parts, a prospect that alarmed the industry and could have serious repercussions for Japan and Europe. 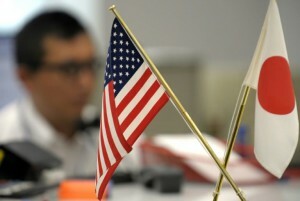 The US president has frequently complained that Japan has an unfair advantage in bilateral trade and vowed to fix that. – ‘Very quick agreement’ – US Agriculture Secretary Sonny Perdue said Thursday he was seeking a “very quick agreement” with Japan on tariff cuts for agricultural goods. “I hope we can come to a very quick agreement with Japan over maybe some temporary… provisions and hash out the many other issues that take longer in this area,” Perdue told reporters in Washington, Kyodo News and the business daily Nikkei reported. “There’s no way for us to conclude an agricultural deal first,” a senior Japanese official told Jiji. If Japan does so, it may violate World Trade Organisation rules related to free-trade agreements, the officials noted, according to the report. Tokyo is expected to counter with demands that the United States scrap tariffs on Japanese industrial goods, if Washington urges an early opening of Japanese agricultural markets. Tokyo aims to focus only on tariff matters, describing the talks as “TAG” or trade agreement on goods. However, Washington trade officials have spelled out 22 specific negotiation areas also including non-tariff barriers in Japan’s auto market and currency. US Treasury Secretary Steven Mnuchin said Saturday any agreement will include a requirement to refrain from manipulating currencies to gain an advantage in international trade. Golf buddies Trump and Japanese prime minister Shinzo Abe will have plenty of opportunities to talk trade in the coming months. Abe is visiting the United States later this month and Trump is expected in Japan in May to pay his respects to the country’s new emperor who will take the throne on May 1. Trump is then expected back in Japan the month after as the western city of Osaka hosts the G20 summit of world leaders on June 28-29.